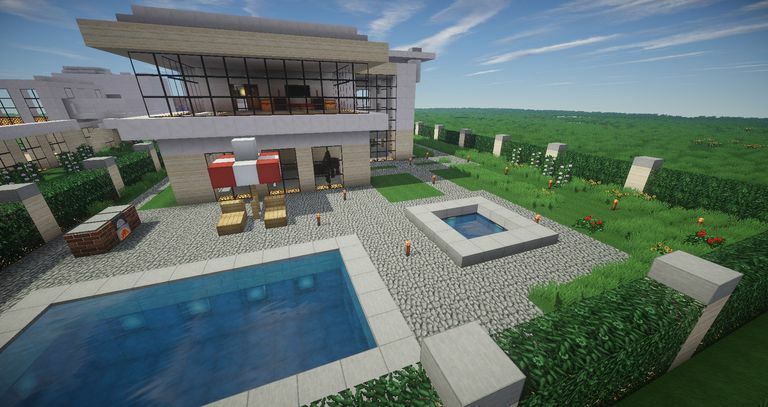 Minecraft is a game that's all about exploring and building, and it's a fantastic creative outlet, so having the right cheats, tips and secret techniques at your disposal can really come in handy. Cheats in Minecraft can allow you to place any block anywhere you want, spawn hostile monsters and friendly creatures, get free and powerful gear, and even generate free resources in survival mode. Minecraft cheats don't require the installation of mods, but they still don't work in every version of the game. Cheats are also unavailable if the option is disabled on the server that you're playing on. Advanced techniques, glitches, and exploits are typically available regardless of the platform or server until they are patched, or fixed, by the developer. Click Allow Cheats: OFF so that it changes to Allow Cheats: ON. Cheats in Minecraft: Java Edition involves typing commands into the console. The console can be opened by pressing the / button. When you open the console, you will see a box at the bottom of the screen that you can type into. Cheat commands follow the basic syntax of /cheatname target x y z. In this example, cheatname is the name of the cheat, target is the name of the player you want to target, and x y z refers to the coordinates. Note: You can use ~ ~ ~ for the coordinates of your character, so the coordinates ~+1 ~+1 ~+1 would be shifted exactly one block, in each axis, from your own position. Generate any block you want Type /setblock x y z block_type into the console. Example: /setblock ~ ~ ~+1 diamond_ore will set a block of diamond ore right next to you! Teleport any character to any location Type /tp playername x y z into the console. Teleport any character to the location of another character Type /tp playername differentplayername into the console. Kill your character Type /kill into the console. Kill another player Type /kill playername into the console. Change the weather Type /weather weathertype into the console. Example: /weather clear will change the weather to clear. Rain, thunder, and snow are other options. Type /time set x into the console. Tip: Replace x with 0 for dawn, 6000 for day, 12000 for sunset, or 18000 for the middle of the night. Stop enemies from attacking Type /difficulty peaceful into the console. Tip: replace peaceful with easy, normal or hard to make enemies hostile again. Spawn any creature or enemy Type /summon creaturename x y z into the console. Example: Typing /spawn horse ~ ~ ~ will cause a horse to appear near your character. Enchant any item instantly Type /enchant playername ID# level# into the console. Example: Typing /enchant playername 35 3 will enchant the tool the user is holding so that it generates extra blocks whenever it is used to mine, dig or chop down trees. Get free experience points Type /xp amount playername into the console. Turns on creative mode Type /gamemode creative into the console. Note: type /gamemode survival to switch back. Fly Jump twice, or press F12. Holding the jump button will make you fly higher, and holding the sneak button will make you fly lower. Note: creative mode must be turned on to enable flight in Minecraft. With creative mode activated, open your inventory to access a list of every block, item, and material in the game. Note: You can d rag items you want onto your item bar, or select the survival inventory tab to place them in your personal inventory. Turn on spectator mode Type /gamemode spectator into the console. Cheats in Minecraft: Windows 10 Edition, and other platforms that run the Better Together version of the game, have to be enabled before you can use them. This involves turning cheats on, which can be done either when you first start a world, or at any time after that. If you want to enable cheats from the start, just enable the Activate Cheats toggle when creating a world. On the right side of the screen, scroll down until you find the Cheats section. Click on the Activate Cheats toggle. Exit the menu, and cheats will be enabled. Important: If you enable cheats on Minecraft: Windows 10 Edition or Xbox One, players connected to your world will not be able to earn Xbox achievements for anything they accomplish while connected to your world. Even if you turn cheats back off, achievements will remain disabled. Activate the toggle switches for any cheats you want to activate. Cheat Name What does it do? Always Day Turning it on prevents day from ever turning into night. Keep Inventory Turning it on prevents players from losing their items when they die. Mob Spawning Turning it off prevents enemies from spawning. Mob Griefing Prevents creepers from blowing up your creations, endermen from stealing blocks, etc. Weather Cycle Turning it off prevents the weather from changing. Other cheats in Minecraft: Windows 10 Edition are entered via the chat window, which can be opened by pressing the / key. Once the chat window is opened, you type the cheat you want to turn on, press enter, and the cheat will be activated. Example: /setblock ~ ~ ~ ender_chest will spawn a useful ender chest in your current location. Example: /tp yourname 1 1 1 will teleport you into the void, or use your friend's name to send them there! Note: Replace weathertype with clear, rain, thunder, or snow. Example: Typing /spawn llama ~ ~ ~ will cause a llama to show up right next to you. Fly Jump twice to start flying. Holding the jump button will make you fly higher, and holding the sneak button will make you fly lower. Note: Creative mode must be turned on for flight to work. Note: You can move any items you want onto your item bar, or select the survival inventory tab to place them in your personal inventory. Turn on adventure mode Type /gamemode adventure into the console. Minecraft cheats are only available in Minecraft: Java Edition and versions of the game that have received the Better Together update. This update created a uniform experience across compatible platforms, including the ability to use cheats. Since the PlayStation versions of the game were not included in the Better Together update, it isn't possible to use cheats in these versions of the game.